This article is for victims/survivors of Ritual Abuse, as well as for researchers and practitioners. In this blog I’ll cover how Ritual Abusers use trickery and lies to manipulate, often young children, into believing that the abusers have “powers” or are even “gods”. They create a lot of fear by referencing Religious myths that partly draws on what has turned into a pop culture of sayings in society about “The Devil” and “Satan” (Westerners language is often peppered with swear words involving “God” and/or “Hell”) that is based on highly inaccurate assumptions about the origins of these words and Religious concepts. This can create an atmosphere of veritable Middle Ages like superstition and Religious hysteria in RA victims, and the wider approach of society to RA itself, that seems strange in a modern world that claims to have rejected superstition. The hysteria is akin to things like Jerusalem Syndrome. By the way, many cases of the so called Jerusalem psychosis are likely to be genuine Religious ecstasy and possibly echo a healthy, if albeit strenuous, spiritual conversion away from being held in a lie, that can happen when waking up to the reality of Ritual Abuse. I don’t mind revealing here that I have first hand experience of RA as a former victim. However therapists like Ellen Lactor and many others have uncovered the same mechanisms of control and they were not subjected personally to abuse. There are a couple of key pieces of media here that are the inspiration for this article and, I believe, were designed by the writers to put across these concepts. 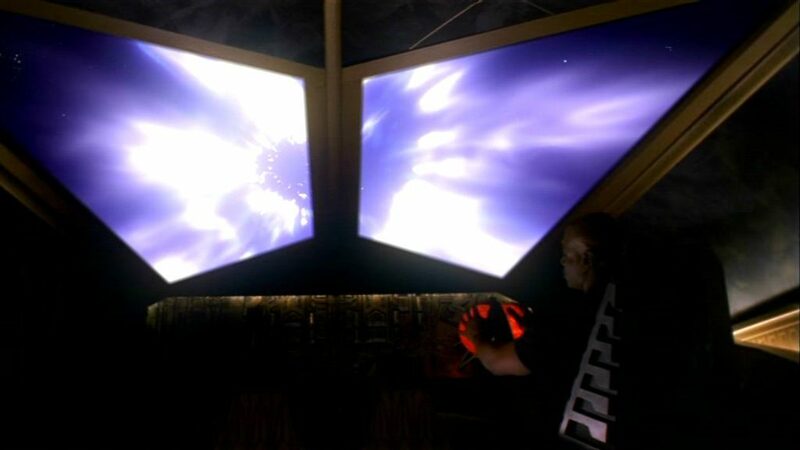 This is a two parter of the science fiction series The Stargate SG-1, episodes “Jolinar’s Memories” (on Stargate Wiki) and “The Devil You Know” (on Stargate Wiki). These are episodes 12 and 13 of season 3 of Stargate SG-1. I don’t bring in the Stargate series here for frivolous reasons or just for entertainment, although it is a very entertaining work of fiction. I think it can help victims and survivors to come to terms with the reality of what was done to them. If you are not familiar with this series then you might want to familiarise yourself with the series first. I’d also suggest that even if Science Fiction is “not your thing” then it’s well worth making an effort to watch these episodes or at least understand what the writers are doing in this series (especially in the first few seasons) as the writing and acting is a masterpiece of putting across a point that is at the heart of what the Ritual Abuse MO (“method of operation”) is. (The two parter is on sale here as individual episodes, or buy as box sets from Amazon or other retailer). 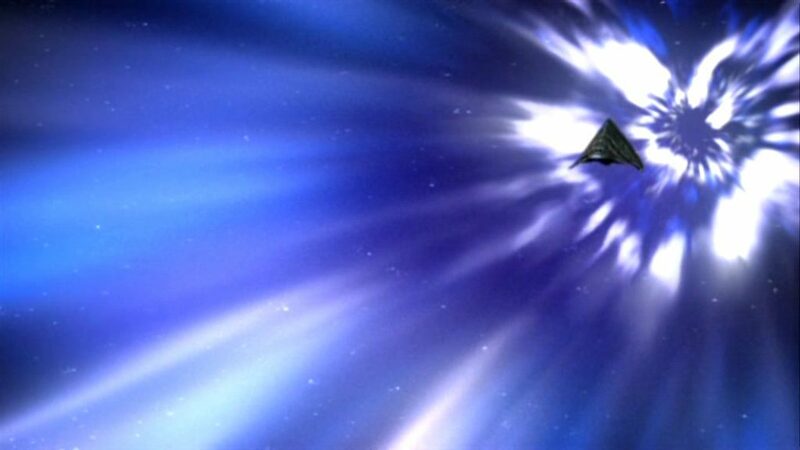 The Stargate series is also trustworthy. I have spent years watching it since around 2000. I became suspicious of it multiple times. That was typical post abuse, post Ritual Abuse behaviour, especially when much of it is designed to help people; victims are “programmed” (targeted traumatisation) to distrust anything that is genuinely helpful. GO AWAY AND AT LEAST VIEW THE SG-1 SERIES UP TO THOSE TWO EPISODES BEFORE COMING BACK HERE OTHERWISE NONE OF THIS WILL MAKE SENSE. IF YOU STILL DON’T “GET IT” THEN KEEP WATCHING STARGATE SG-1. 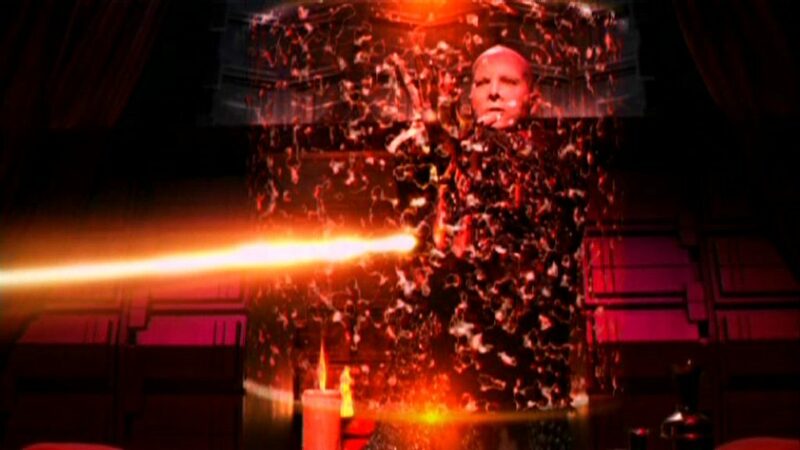 BY ACCIDENT OR DESIGN SG-1 IS *DESIGNED* TO FREE YOU ! Ritual Abusers seem to believe they are “punishing the wicked in God’s name” based on various convoluted pseudo-religious belief systems as I will show below. Please note that this is Wikipedia and anyone can hit the edit button which is why I include links to the original version (“permanent link”) of the page that I quote from. Even though Wikipedia is mostly very good, some of it can be inaccurate. As long as the reader is aware of that you can check the references and come to your own conclusions. (Important words and phrases below are underlined in bold by me.). “To hide” … AKA the Ritual Abuse “MO” itself. Very secretive and often carefully hidden (but not immune to exposure). Goa’uld “personal shields” not withstanding. 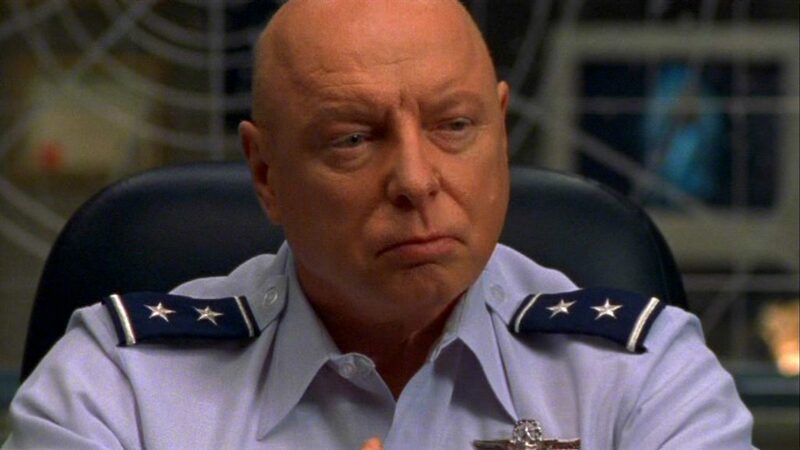 Frame from Stargate SG-1 episode “the Devil You Know”. Ritual Abuse has included reports of child and baby sacrifice. 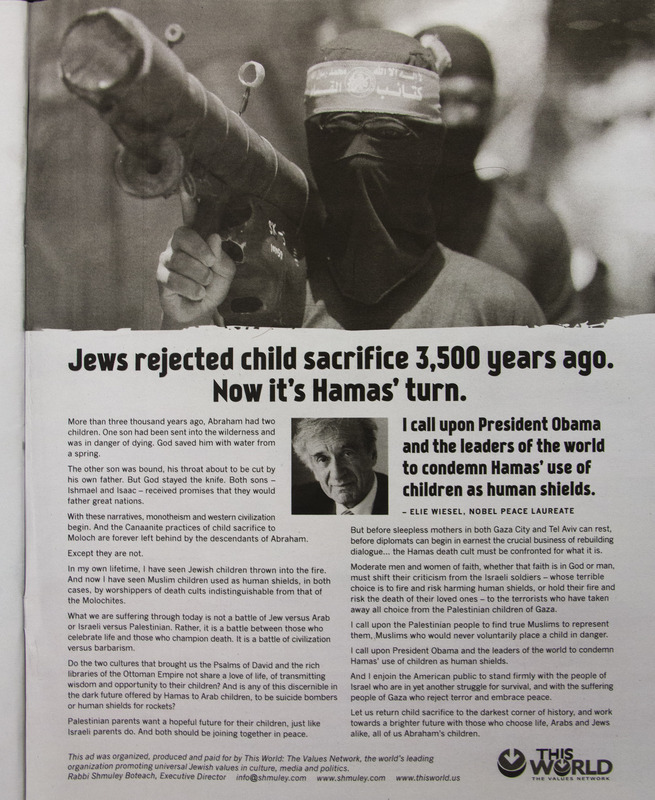 Historical evidence of child sacrifice is (sadly) there. For example see this page: https://en.wikipedia.org/wiki/Moloch (Permanent link) … notice the horned statue. “In the Hebrew Bible, Gehenna was initially where some of the kings of Judah sacrificed their children by fire [to Moloch]. Thereafter it was deemed to be cursed”. This was a Canaanite death cult killing people in the name of Moloch. “This valley is mentioned five times in the Book of Jeremiah (7:31,32 19:2,6 32:35) as the place in which the people would “burn their sons and daughters in the fire” as part of the worship of Moloch …”. Quotes from this section (permanent link). It was a “hell” alright ! But look at the definition above. The original translation is “hell” as “hidden”. So innocents were being killed under a cover of some kind, a conspiracy of silence like the one that often surrounds Ritual Abuse. If you read around the original theological meaning of this story, there is “punishment” of these child killing criminals, just as the (erroneous) definition of “hell” includes punishment of people. But the original perpetrators were not being punished as the damned in hell. They were being “punished” by good people at the time, by destroying their “shrines” and decrying their behaviour. Their shrines were destroyed to protect the innocent. These were children, human beings, who had committed no crime and hence did not deserve any kind of capital punishment, if anyone would do such a monstrous thing to a child. The literal meaning of the word “innocents”; “to be innocent of a crime”. The victims of the appalling practice, and the origin of the “hell” concept, were not “the damned being punished in hell”. They were victims of murdering criminals just as, sadly, many children are in our modern world. Major Samantha Carter of SG-1. “Oh, wait. So you mean … ? !” – Major Samantha Carter of SG-1. 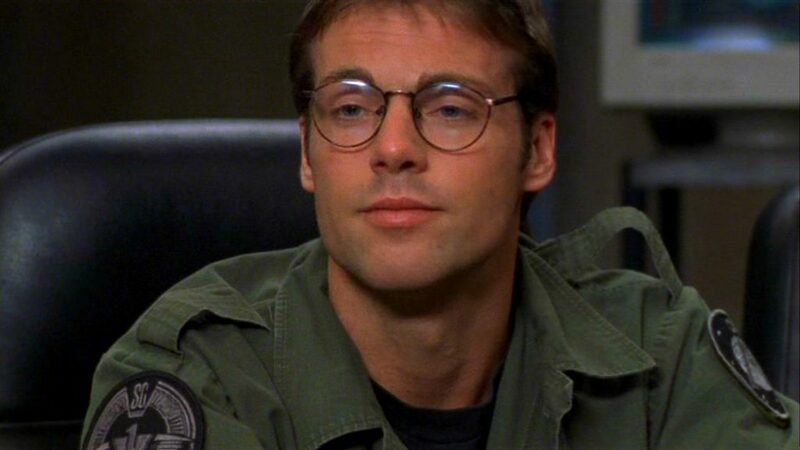 Daniel Jackson, Ph.D. of SG-1. “Yes! So I am right aren’t I” – Daniel Jackson, Ph.D. of SG-1. These appalling cults appear to have survived in some way, or their ideas have, and/or psychopaths were attracted to the history for their purposes of scaring victims and creating a smoke screen for their activities to this day. Hence the child abuse and kidnapping and killing of babies, drinking of blood and so forth that we see being reported by RA victims which takes place in a context intended to confuse victims, law enforcement, therapists and ultimately society itself. [ Chapter 21 ] David’s Census; the Plague. *A* satan rose up against Israel, and he incited David to take a census of Israel. SOME GROUPS. The actual original religious texts do not define “satan” in this way. 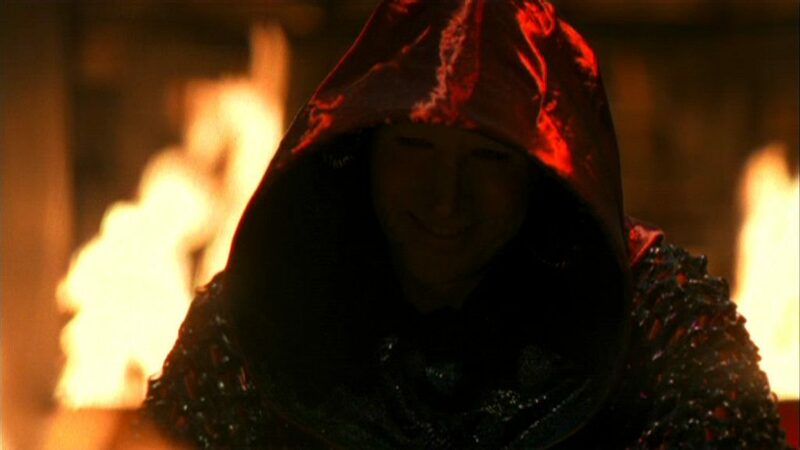 The idea that “satan” is some supernatural entity is a purely CREATED myth, created out of a fiction by egomaniacs, psychopaths who lie to enslave victims in an idea … as depicted in the Stargate SG-1 episodes that I identified above, and the entire “Goa’uld” Stargate concept; these perpetraitors (sic) style themselves as “God’s” (or a supposed supernatural being supposedly called “satan”) to gain power over people. This is often done with children who do not have the experience set to realise that they are being manipulated. What better evidence could there be here that the creators of Stargate already KNOW about this subject and some of them are people who had to break out of what other RA victims and survivors have been subjected to, or at least take reports from victims seriously ? 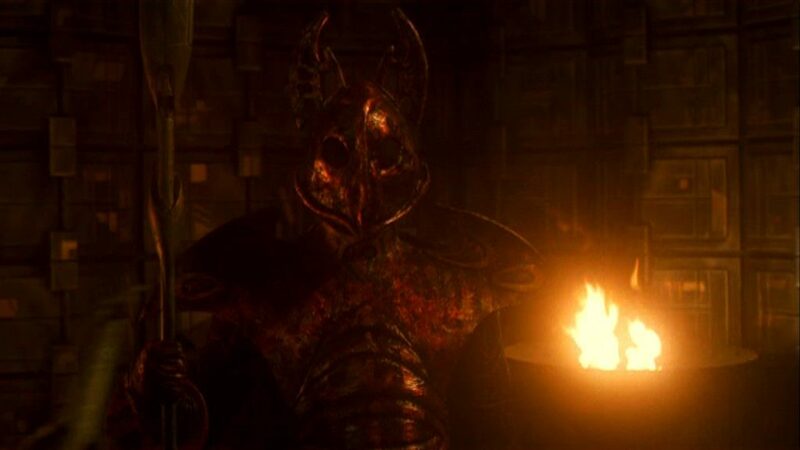 What better evidence could there be than the episode “Bloodlines” (on Stargate Wiki) where Tealc (which means “strength”) has a vision of his poor son having this awful thing done to him; a Goa’uld snake being put into him, a fictional device obviously meant to represent RA Mind Control traumatisation. Even the scene itself where Tealc bursts in and kills the “priest” about to do this, is of course purely ritualistic in its portrayal. A white tent at the edge of an area where the Goa’uld “outcasts” are sent contains a child about to be severely traumatised into the tyranny that Tealc and his fellow freedom fighters are freeing themselves from. 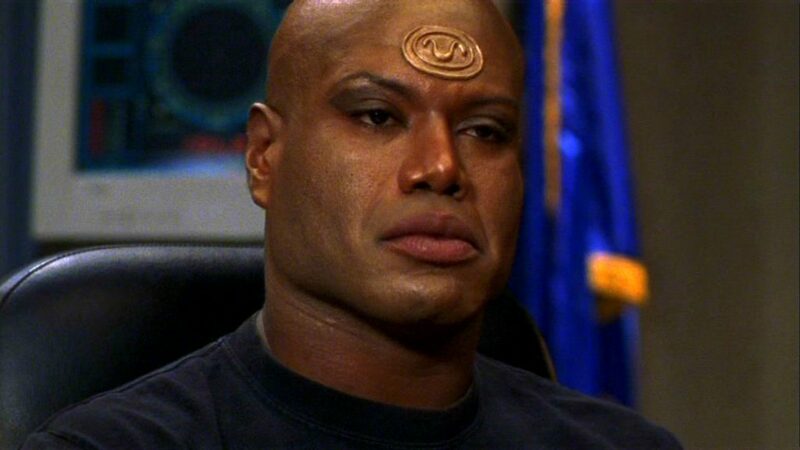 In an act of love Tealc is faced with an agonising decision, a choice between allowing the corrupt “snake” to stabilise a sickness his son has (because in the fictional Stargate the Goa’uld worm can strengthen a humans immune system), or preventing the implantation in the name of freedom but having to watch his son die as a result. In a tremendous act of love he is willing to give his Goa’uld parasite to his son to save him and risk dying in the process. I won’t spoil the conclusion to this part of the episode here, I just bring this up because of the underground nature of the RA phenomenon. This is why the truth of it appears in a science fiction series and not the mainstream media. Ie. ANY person or situation that opposes. Above quotes from Wikipedia page (permanent link). Now look at a core Christian teaching story … and remember “satan” means any accuser such as someone who slanders someone and is then taken to court; they are the accuser of that person. In the following extract I have replaced the word “satan” with “an accuser” in each instance. See how it reads. You can compare with the original source of the quote (permanent link). Remember its a story meant to teach. The God that I know anyway would not put someone through such suffering “just to make a point” as it were. So to repeat. “satan” translates as “accuser”. Like an accuser accusing you of “being mentally ill” for example, or accusing Ted Gunderson of “being paranoid”. “In the Septuagint, the Hebrew ha-Satan in Job and Zechariah is translated by the Greek word diabolos (slanderer),” …. Quote from Wikipedia page (permanent link). You see SLANDER again, not some supernatural being used to scare little children ! 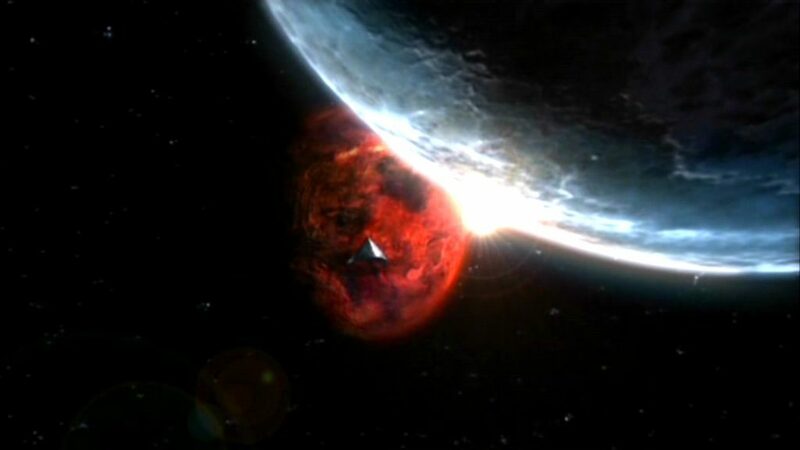 Manipulative symbolism as shown in Stargate SG-1 episodes “Jolinar’s Memories” and “The Devil You Know”. So where did this corrupted idea of “satan” come from in the first place ? Both quotes from Wikipedia page (permanent link). Hence NO SUPERNATURAL FIGURE a’la Stargate SG-1 and their fictionalisation of this issue into the false gods of the Ga’uald. This is what I think happens at Ritual Abuse ceremonies. Young children are scared into thinking that their abusers “are Gods” (or the supposedly supernatural being of “satan”) as a method of enslaving them into criminal activity. Some Ritual Abusers may even believe in some of their own nonsense, but psychopaths have been know to believe all sorts of odd things. Sokar: “Of all the gods he picked to impersonate, he chose the Devil.” —Daniel Jackson. Sadistic. Nasty. But not a “God” or supernatural being. So there is no such thing as “Satanism”, per se, because it does not follow. It’s a non sequitur because the original Religious texts that apparently support the existence of “Hell” or “Satan” don’t exist or if they do they are regarded as untrustworthy. Quote from Wikipedia page. (permanent link). Remember the 60’s song ? … “I am the god of hell fire!” ? These misunderstandings of “Hell” have partly leaked into society (mostly in ways that are vastly less serious than what RA criminals get up to) so when someone says “it’s Hell” or “I’m in Hell” there is a tacit suggestion that they deserve the punishment, psychologically speaking. This is the kind of thing that is played upon by RA criminals. Does that sound familiar ? Quotes from Wikipedia page (Permanent link). “…mythic renewal” … Fascism, Nazi’ism, Ritual Abuse, “Satanism” (but the “S” word really simply meaning “an accuser”, remember). Both quotes from the Wikipedia page (permanent link). “the reason of unreason.” … Fascism, Ritual Abusers, psuedo-skeptics and all that is aligned against TRUTH … The truth that Ted Gunderson comes out with for example. Here we have one of the reasons that Ritual Abuse gets treated as a “moral panic” with no evidence supposedly existing for it. There was a person I was trying to talk to about all this who said “I don’t agree with what you are saying” and then abruptly ended the conversation because she could not REASONABLY include what I was saying. She did not understand that opinions and what we regard as “unchallengeable facts” are not set in stone. The idea that Ritual Abuse “does not exist” can change because opinions do change. The appalling fear that these RA criminals create for victims and society can change as well. But that change has been blocked up until now by a “seething brew of passions to cloud the understanding” created by RA criminals manipulation of victims and society by using the methods I have detailed above to scare and mislead people. Creative media of various types has been created to help victims and survivors as well as practitioners. One example is the series Stargate SG-1. The concept of Hell/Satan/The Devil is deeply flawed because accepted Religious texts do not define such concepts. Ritual Abuse includes practices that have historically been associated with Death Cults like the Canaanites/Moloch. The Method of Operation of Ritual Abusers includes concepts that, even if perpetrators and/or victims regard those concepts as real or not, is really there to act as a smoke screen to law enforcement and to victims/survivors/practitioners and wider society. This is done by a creating a semi-religious hysteria much like so called Jerusalem Syndrome. RA criminals are not Gods or any supernatural figure, although perpetrators may want victims/survivors/practitioners and wider society to believe that. Destination reached. I won’t spoil what happens to the “hell” moon. That’s it. BE STRONG MY FRIENDS !